20 years ago, Manchester Arena looked to the best in the business to supply the seating for their new arena. When they were ready to replace their seating, why did they return to Audience Systems? 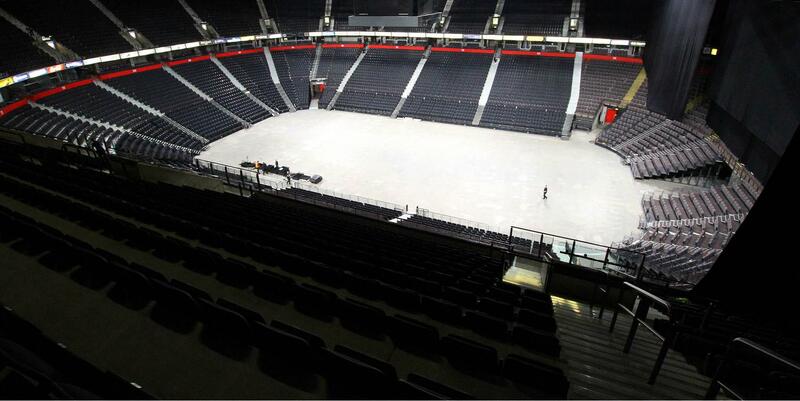 After two decades serving them well, the arena management at Manchester were aware the seating and retractable units first installed by Audience Systems when the arena opened, required updating. Obviously impressed by the longevity the original system offered, they also knew the experience and expertise offered by Audience was the clear choice for the replacement system. Being a busy venue, Manchester had to organise this extensive refurbishment programme around events and functions, requiring forensic project management and coordination between arena staff and suppliers. In an astonishing 44 days, the arena was cleared, cleaned and refitted with 28 new retractable systems and 11,600 new Accolade chairs. The chairs were fitted with a protective plastic panel on both the back and seat to protect the upholstery and increase their durability. Manchester worked in close collaboration with Camira fabrics, selecting a gortex based product which offers stain and tear resistant properties as well as being straightforward to clean for optimum user experience even with short turn around times between shows. Engineering has developed since the first installation which has allowed us to reconfigure the retractable units to increase the number of seats in the arena by 345, meaning more happy customers and increased revenue potential. Underway now, the second phase of the overhaul involves 5,551 original Espace 628 chairs, installed 20 years ago being treated to a facelift. The chairs sit behind the stage and are used only when the arena is in the round so are still in perfect working order. Due to their reduced usage, it was decided to simply refurbish those seats in the same fabric as the rest of the new seats, adding protective back and seat panels so they will blend seamlessly with the new chairs.